There’s no doubt about it, Cortana is one of the biggest features coming to Windows 10, and it will be quite a delight to use it on desktop machines. A fresh report now claims that there are vendors who could be interested in making a physical key for Cortana. Many OEMs have invested a lot of hope in Windows 10, as they believe Microsoft’s newest operating system will increase sales for laptops and PCs. Thus, in order to differentiate itself from the rest, Toshiba is allegedly interested in creating a special Cortana key for its line of Windows 10-powered laptops. PC World reports that Jeff Barney, Toshiba’s general manager and vice president in charge of the company’s PC business in America, disclosed that Cortana will be “across the board, top to bottom” and will be located in the upper left area of the keyboard, near the function keys. As far as we know, Toshiba is the first company to do this, but it sounds quite ingenious, so there’s a chance that others might follow the example. 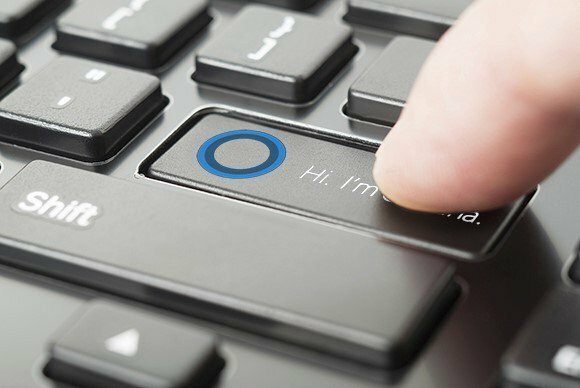 Thus, by using the dedicated Cortana button, Toshiba customer will be able to launch Microsoft’s digital assistant from their keyboard. To make sure that Cortana is listening to what you’re saying, Toshiba has added high-fidelity array microphones to its PCs to improve its ability to hear you. This could be just the beginning of integrating Cortana into hardware, as having such a feature on a mouse, for example, could be just as good. Toshiba isn’t among the leaders of the laptop market, so such a feature could help their products have a special appeal.